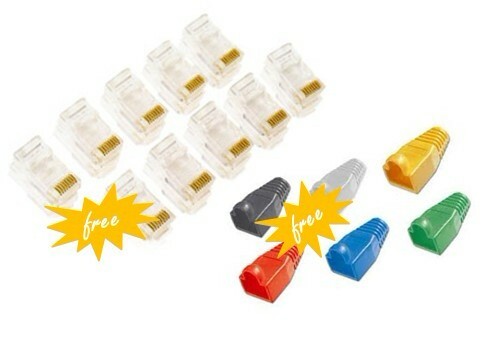 Order any type of UTP cat5e cable here now in E-Max, and get free RJ45 plugs and boots. This privilege is available all through the 2nd quarter of 2012, check details with our online sales representative, or call us directly at +86 571 2365 6065. The more the merrier, a truths that always works.